It’s a celebration of the impact you create in our community by supporting Twin Cities Habitat with your gifts of time, talent, and treasure. But there’s a twist. The party is also about multiplying our collective impact through innovative thinking and taking simple actions. Following my service as Mayor of St. Paul, I thought long and hard about what I wanted to do next. It came down to two critical factors. First, I wanted my next job to focus on solving one of the critical challenges facing our region. Second, I wanted to do more than just talk about it—I wanted to act. I’ve come to the right place. In my first four months as President & CEO at Twin Cities Habitat, I’ve had the honor to build alongside families dreaming of homeownership, long-time volunteers committed to Habitat’s mission, corporate CEOs ready to partner on housing solutions, and faith leaders from across our community. There’s strength in our numbers. Together, we’ve more than doubled our capacity for homebuyers over the past year. But, unfortunately, the need only continues to grow. More and more of our families are cost burdened by their housing – meaning that they are spending more than one third of their income on housing. This lack of affordable housing threatens to stifle our continued economic growth. We need to rally our entire community to fight for our families. We need to multiply the impact of Twin Cities Habitat right now. We will need cross-sector, creative solutions to address this challenge. And we need more builders and better financing options. Luckily, we have found some help along the way. In 2017, Twin Cities Habitat formed an innovative partnership with Bremer Bank. Bremer purchases each affordable Habitat mortgage* originated for a Twin Cities Habitat homebuyer. Those homebuyers access a long-term, fixed-rate mortgage with payments capped at no more than 30% of their income. The partnership with Bremer quickly recycles cash so more homes can be built and more mortgages financed. It also helps Bremer connect to a segment of the population that historically has been left out of the mortgage market. Bremer has already purchased more than 136 mortgages from Twin Cities Habitat. Bremer CEO Jeanne Crain has been an incredible partner with us. She not only co-chaired Governor Dayton’s Task Force on Housing, she also served as co-chair for our 17th annual CEO Build, along with Minnesota Wild owner Craig Leipold. 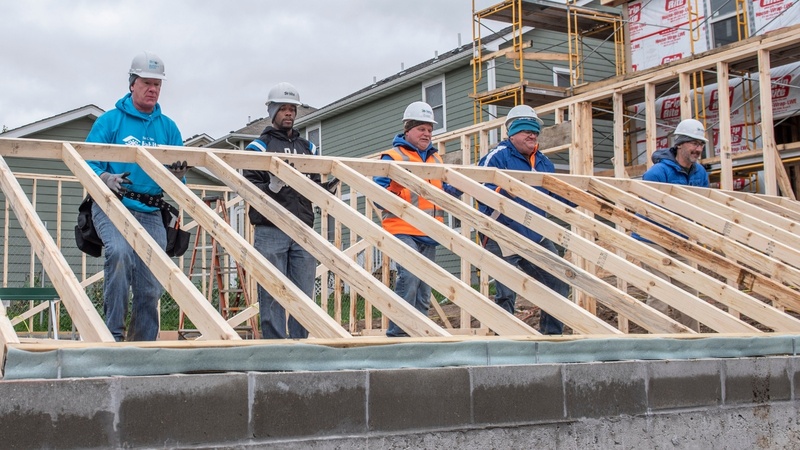 In October they joined other top executives from several Minnesota-based companies for a day of building homes on St. Paul’s East Side. Jeanne praised Twin Cities Habitat for its ability to prepare people to be successful homeowners and said it was a natural match to complement Bremer’s ability to finance mortgages. She reiterated the finding from the Governor’s Task Force that there simply isn’t enough housing to meet the demand, and the homes that are being built are out of the price range for most families. St. Paul Mayor Melvin Carter spoke at the CEO Build as well. 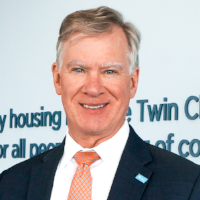 He said increasing affordable housing and boosting community engagement are two of his top priorities – and he sees Twin Cities Habitat at the nexus of those initiatives. I know that Minneapolis Mayor Jacob Frey shares Mayor Carter’s passion for creating affordable housing. Our CEOs also heard from LaVera J., who purchased a Twin Cities Habitat home last year on the East Side. She shared how challenging the sweat equity hours were for her, but that it was all worth it because she has a house that is truly her own. That’s a beautiful feeling and one we want, and need, to give to more Twin Cities families. The private sector, nonprofits, and the government all have roles to play in solving our housing challenges. We at Twin Cities Habitat plan to keep growing and marshalling the resources necessary for more families to be successful. I hope you’ll join us for the party to celebrate all the great things ahead for Habitat homeowners and learn about the actions you can take to be a part of this mission. 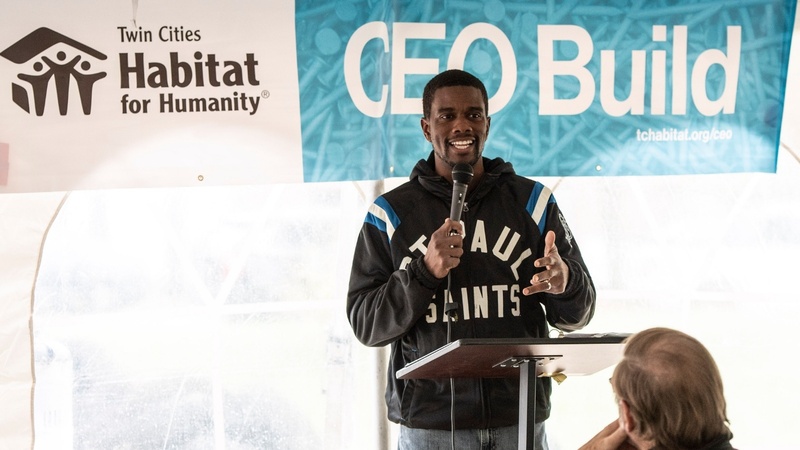 *All Habitat mortgages are originated by TCHFH Lending, Inc., a wholly-owned subsidiary of Twin Cities Habitat for Humanity, Inc.
Chris Coleman joined Twin Cities Habitat after serving as Mayor of St. Paul from 2006 to 2018. As Mayor, Chris was a champion for economic development, education, and racial equity. From 2013 to 2014, Chris was the President of the National League of Cities, a bi-partisan coalition of leaders from across the country. Prior to his election as Mayor, Chris was an investment advisor for RBC and he served for six years on the St. Paul City Council. Chris was born and raised in St. Paul and earned bachelor’s and law degrees from the University of Minnesota. He and his wife, Connie, have two adult children, Molly and Aidan.